Earlene Butler Mishoe, 79, of Bladenboro, passed away on Friday, October 19, 2018. She was preceded in death by her parents: Charlie and Mae Butler; husband: Saul Mishoe; two brothers: Eugene and P.D. Butler; and five sisters: Eunice Russ, Devola Perry, Libby Rankin, Phyllis Norris and Agnes Ellis. 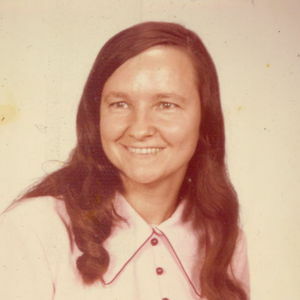 Earlene is survived by one brother: Robert Butler and wife Jill of Bladenboro; one sister: Peggy Dowless and husband Ray of Bladenboro; many nieces and nephews as well as great-nieces and great-nephews. Earlene was a Godly lady who loved her church. She treasured her family and fur babies. Earlene was considered a second mother to everyone who knew her and will be greatly missed. The family will receive friends from 6-8pm on Monday, October 22nd at Bladen-Gaskins Funeral Home in Elizabethtown. A funeral service will be held on Tuesday, October 23rd at 3pm at Faith Fellowship Holiness Church in Bladenboro with Bishop Johnny Causey officiating service. Burial will follow service in the Singletary Cemetery in Butters. Add your thoughts, prayers or a condolence to Earlene's guestbook.